As close as wine country is, sometimes it&apos;s nice just to stay right in town and have the wine brought to you. Sip amazing local wines at these uber cool urban tasting rooms and wine cellars. Wednesday - Saturday, 5 - 10 p.m. When you think of the Whiteaker neighborhood it might be craft beer - but this artistic and independent neighborhood is also home to craft distilleries and wineries - thus it is more aptly considered "the fermentation district"! 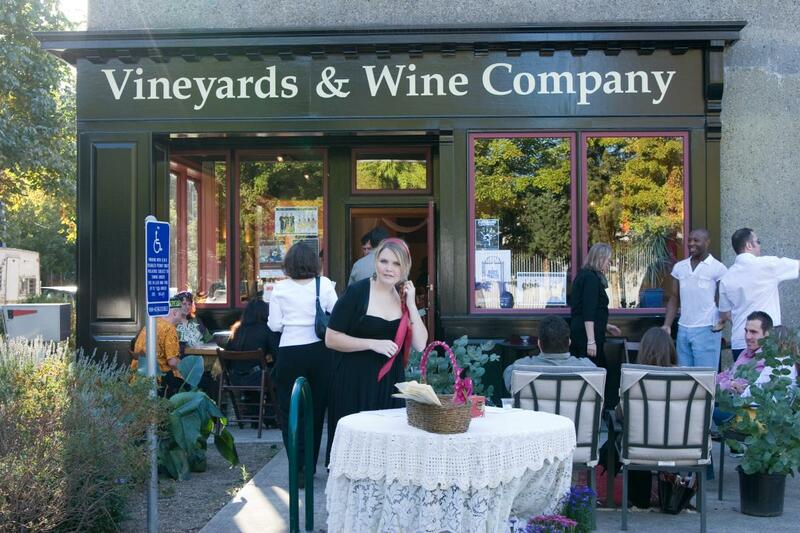 Here Territorial Vineyards & Wine Company graces "The Whit" with live music on Thursday and Fridays, seasonal sidewalk dining and year-round small plates to accompany their outstanding collection of wines. They are part of the Urban Wine Circuit which loops into downtown Eugene&apos;s epicenter for urban wine drinking. Thursday, noon - 8 p.m.; Friday & Saturday, noon - 10 p.m.; Sunday noon - 6 p.m. Enjoy more then great wine here - sip sangria, apple cider and local craft beer. Eugene&apos;s first urban tasting room hosts a comfortable atmosphere and their very own Recess label wines sourcing grapes from the Pacific Northwest. 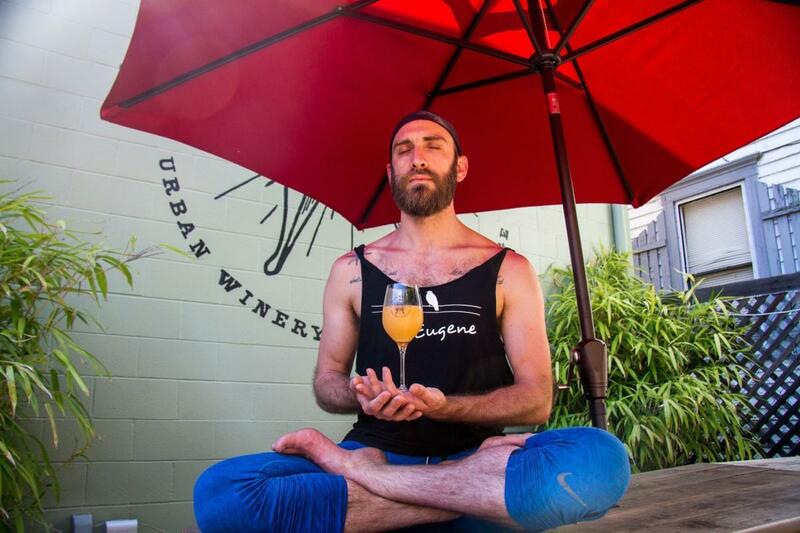 Monday - Thursday, noon - 8 p.m.; Friday & Saturday, noon - 10 p.m.; Sunday, noon - 6 p.m.
Come here for yoga and mimosas (occasional Sundays), or just to enjoy the ultimate urban wine bar experience at one of Eugene&apos;s most friendly wine establishments. 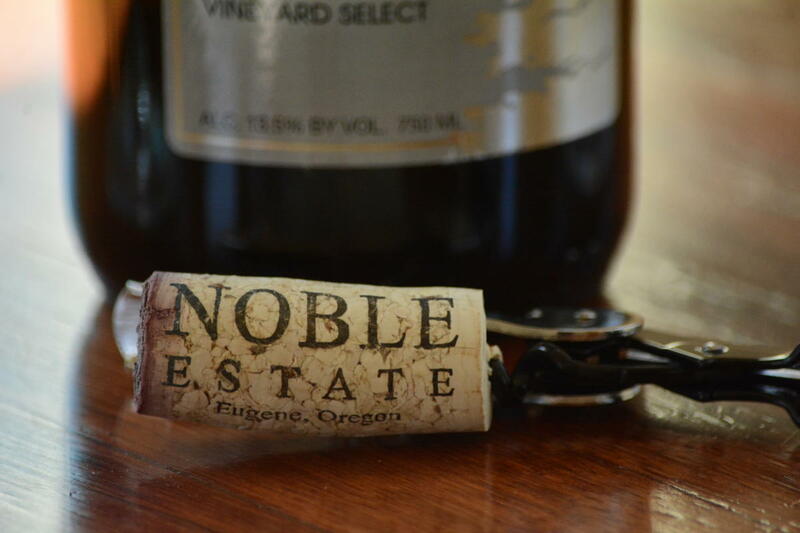 The owner of Oregon Wine LAB not only pours his own very special wines under the William Rose label, he showcases other local high quality artisan brands that don&apos;t have established tasting rooms. 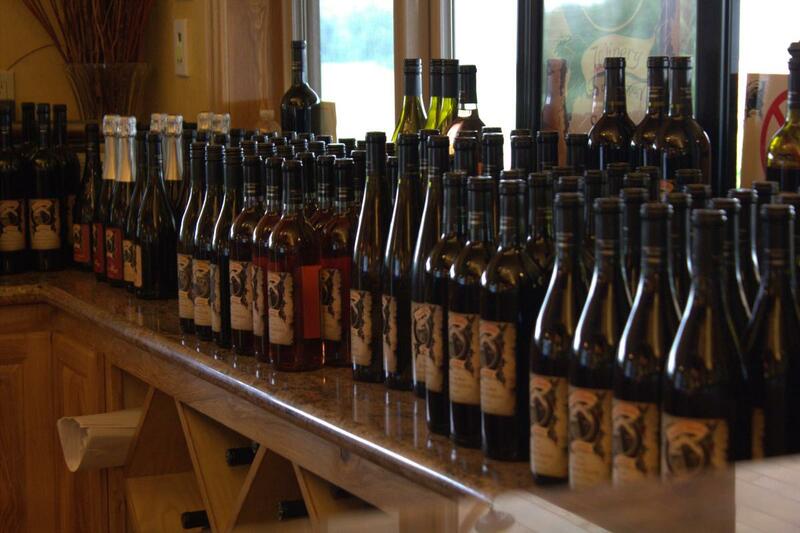 Come here to find yet-to-be-discovered wines from across the region! There is also another highly prized feature of this particular tasting room - the famed and award winning Da Nang Vietnamese Eatery food truck that is predictably on site daily. Sunday, 10 a.m. - 8 p.m.; Monday - Thursday, 11 a.m. - 9 p.m.; Friday & Saturday, 10 a.m. - 10 p.m. This is a wine bar you can easily love, not because of the velvet purple banquettes and instagram-worthy graffiti wall, but because they truly love the community. 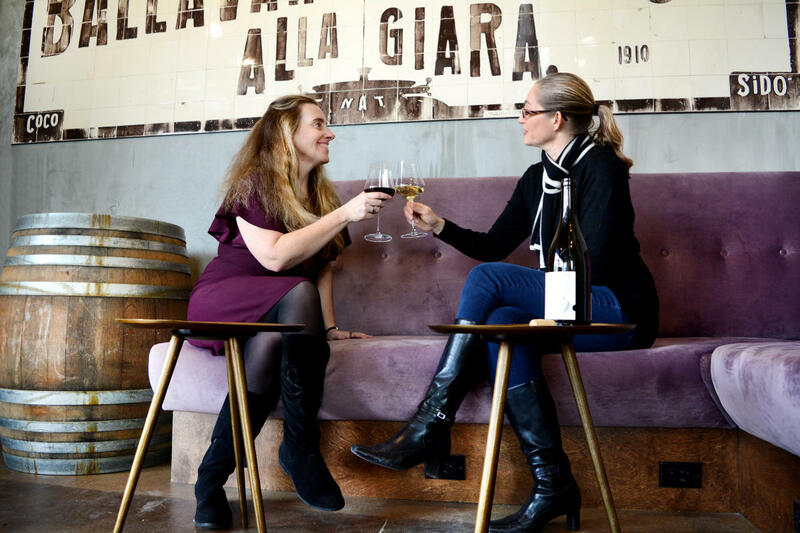 The building&apos;s historical foundation (it was designed by the same builder of Eugene&apos;s 1930s beloved wooden Civic Stadium that burned down in 2015) is just the start - they stock and pour natural wines made by boutique artisans using organic and biodynamic farming. For fermenting their own Civic Winery label wines they use Oregon-crafted terracotta amphora, an ancient wine making technique. Topping it off, the Civic Winery rubs elbows with one of Eugene&apos;s phenomenal restaurants the Lion & Owl. Waiting for a table next door? Start your meal off right with a coffee or glass of wine at the Civic Winery while you wait. 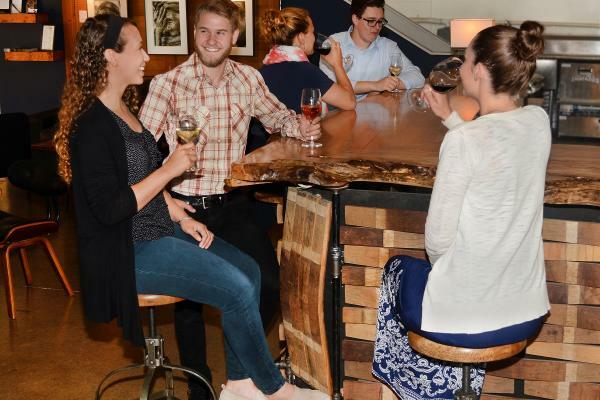 Sunday - Wednesday, 2 - 8 p.m.; Thursday - Saturday, 2 - 9 p.m.
A favorite wine country tasting room is now easily accessible in the heart of downtown Eugene&apos;s Fifth Street Public Market. Enjoy the contemporary ambiance of their urban tasting room or relax with a glass of your favorite Sweet Cheeks Pinot on the Garden Plaza. Fifth Street Public Market is a hub of colorful shopping, dining and entertainment. Additional wine tasting experiences are available downstairs at Provisions Market Hall&apos;s Blackboard wine bar and Marche&apos;s Le Bar. Sunday - Thursday, 11:30 a.m. - 10 p.m.; Friday - Saturday, 11:30 a.m. - 11 p.m. These folks are fun. It&apos;s more then just wine - they have 81 taps featuring craft beer, wine, cider, mead, kombucha, cold-pressed coffee and soda. 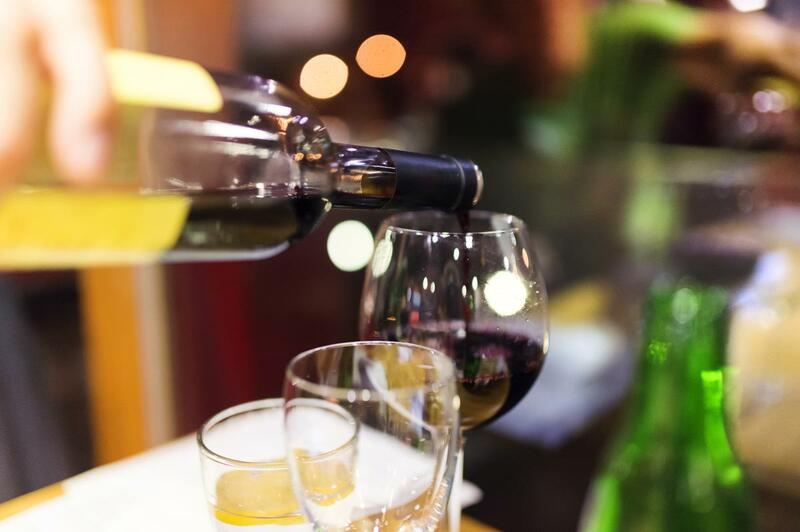 But since you are here for the wine, explore taster trays or enjoy a glass of local favorites, regional and international selections. On Wine Wednesdays there are special wine tasting flights and discounts. Locally sourced food is served, growlers are filled to go and live music or themed events are frequently hosted. And there is a running club that meets here every Tuesday for a drink and a group run. Fridays, 4 - 9 p.m.; Saturdays, 1 - 7 p.m. This destination tasting room may be surrounded by asphalt and garage doors but it comes alive on Friday evenings with live music, food trucks and a social crowd ready for the weekend. Sip wine in the dusky, cool barrel room or pull up a folding chair in the warm sunshine outside. Adjacent the Viking Braggot Co., your braggot-loving friends will be pleased to pop over after a game of pool next door. With their classy outdoor bar and flower garden, you would hardly know you were in an industrial setting. 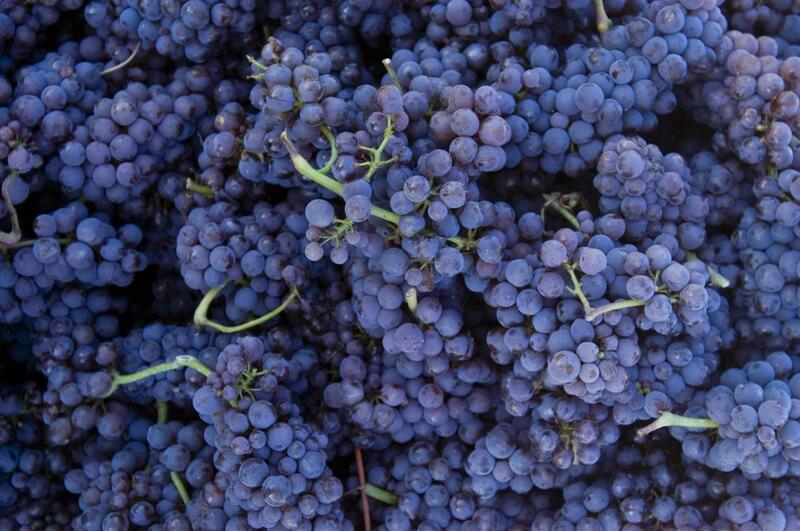 Grapes from their wine country vineyard are trucked in and crushed and fermented here, so while you sip you can frequently watch the vintners at work. Enjoy nightly live music or fun, themed events. There is always a party going on here.